All SUS304 stainless steel frame, elegant and compact, non-coating process, pollution free. Equipped with large size stainless steel steam storage tank, which stores enough steam to provide stable and even steam spray, and this helps shrinking effect more perfect. Dual wall design for energy saving, heat isolation and operator protection. Multiple sets of steam nozzle enable user to adjust according to sleeve position. Equipped with trapping and draining device for evacuation of waste steam. Equipped with Japanese steam pressure reducer to stabilize steam pressure. 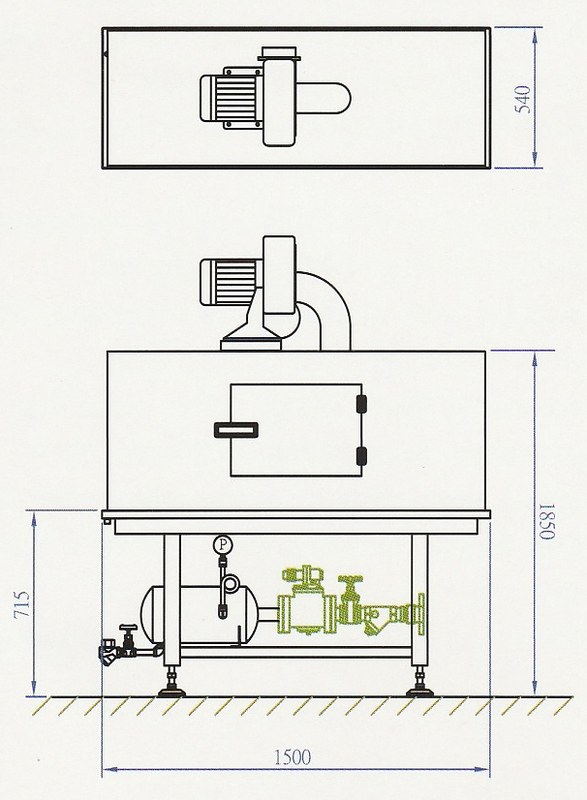 Extra steam exhaust design is able to prevent steam leaking from tunnel.